Tonight's special guest is Elizabeth Sullivan from Stillwater, Minnesota, a returning NAASCA family member and an adult survivor of childhood sexual abuse who started a peer-to-peer support group in her home town. She runs the recovery group on Thursday nights, and is holding a day long 'Giving Voice' event (for survivors, by survivors) on Saturday, November 5th. 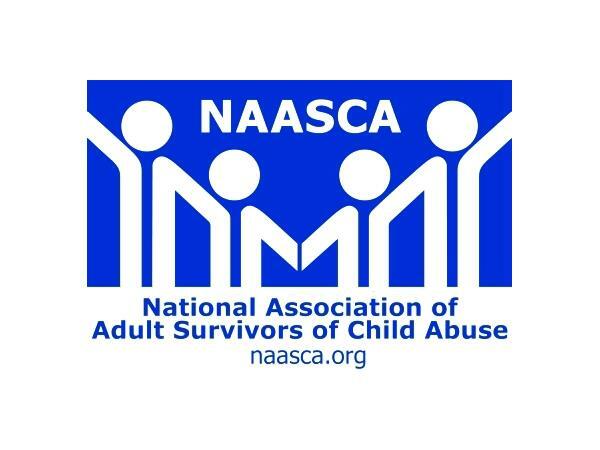 Fellow NAASCA family member Matt Sandusky will be the Key Note speaker. Get details on her web site at: www.EmpowerSurvivors.net. "In 2013 at the age of 42 I broke my silence," Elizabeth says. "Kind of a forced breaking of silence because it came out due to several triggers that ended up putting me in ICU for two days with a heart rate that couldn't be regulated, chest pain and dry heaves. After that two day event the flashbacks started in, nightmares, intrusive thoughts, hyper vigilance and all of the rest." Her PTSD was basically out of control. "This begun the breaking of silence for me, the two day a week therapy sessions, group therapy and a lot of ups and downs and suicidal thoughts. It's been a hard process but I feel I've come a long way since all this came to a head several years ago." She knows her recovery will be a journey. "There's still healing to be had but I am healing, finding balance and becoming what I think is a better person - me. Me instead of what I felt I had to be for everyone else." Elizabeth goes on, "Breaking my silence was the best thing I ever did, and the hardest thing I ever did, and now I want to empower other survivors to do the same and find healing."